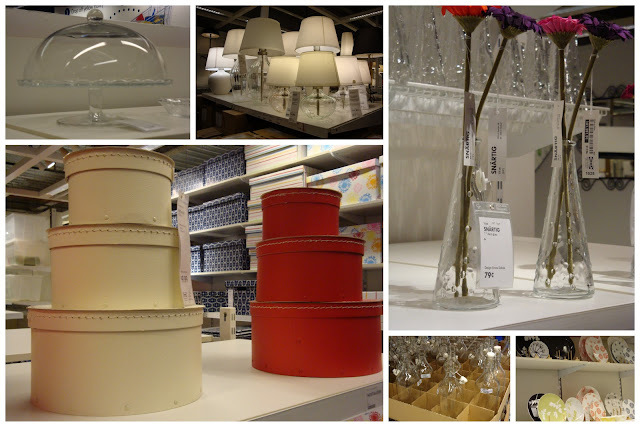 I promised I'd share some inspiration from this past weekend's IKEA trip, and I didn't want to let you down! Despite waking up to some heavy snowflakes falling, my friend Christy (faithful NYC Girls' Trip pal) and I decided to head North to see the latest wonders of IKEA. After a quick Starbucks run, we hopped on the interstate and chatted while my girls sat entranced in the back seat watching Dumbo. Seriously, what did mamas do before DVD players on road trips?! First things first, we dropped a delighted Natalie off in the childcare area and jumped on the escalator to the showroom with Michaela Byrd. If you've never had the chance to visit an IKEA, my favorite thing is touring all of the cute little "apartments" they have set up upstairs. You can take measurements, write down the aisles and bin numbers to find furniture items, and head downstairs later to shop accessories and check out with boxed items. Make a list before you go of areas in your home that need some touch-ups and be mindful of those as you browse the showroom. I neglected to do this beforehand, and I completely forgot about several things I wanted to check out. I did remember to look at some coffee tables, in case my search at the local Salvation Army comes up with nothing. I like the extra storage this coffee table provided. Michaela Byrd was more impressed with the child-size table by the couch. I still can't believe that I saw one of these glass topped tables in my local Salvation Army last Spring and passed it by. At the time, I guess I just wasn't committed to the idea of trying to sell T on the idea of change. Love. this. chair. That is all. We liked the homey feel to this kitchen, which led us to a search for the perfect replacement kitchen chairs for Christy. And there was, of course, the icing on the cake..."my" craft studio, which I fell in love with on the last trip. Of course, no trip out of town is complete without a tantrum, and although I felt like throwing one when Christy told me she didn't think it was a good idea to try sneaking my crafty stuff in on weekends, it was Michaela Byrd who threw a fit because her finger hurt and she wanted to ride in a cart. Shopping downstairs provided another distraction for all of us. So many pretty accessories! Christy picked up three of those hobnail glass vases for just $0.79 each! 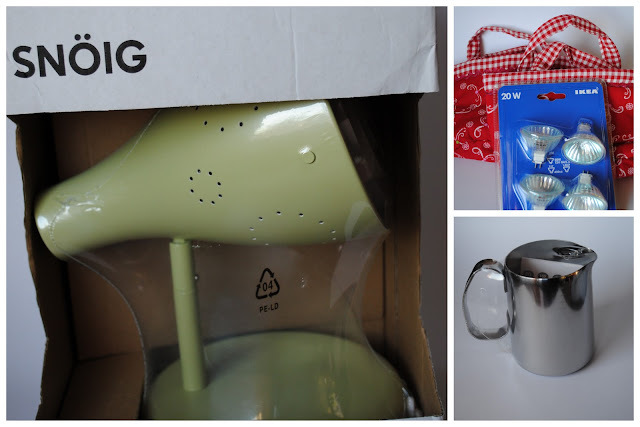 I picked up two lamps to fit on the bunk bed wall in the girls' room, two cute purses, some light bulbs, and a milk frothing jug. We ended our jaunt with a delicious lunch at Panera, and then hit the road to get home. I've only been to IKEA once, and it was amazing! 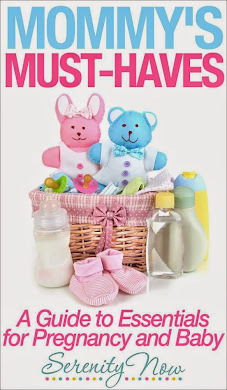 The closest one to us is more than 6 hours away:( I didn't really get to buy anything the one time I went either...mainly because I had all 3 kids by myself and our car was already loaded down with road trip stuff! Looks like you got some great deals and great inspiration! 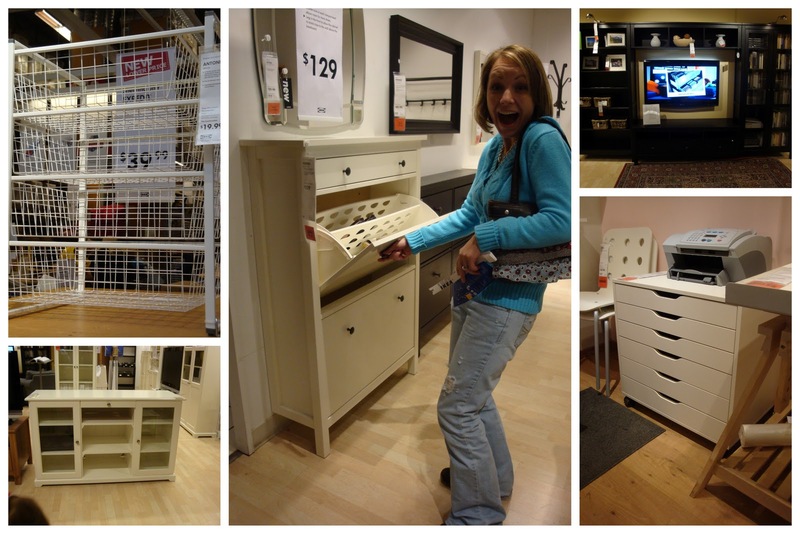 We went to Ikea for the first time Saturday. So.Much.Stuff. Oh so fun! I seriously need to drag the hubster here & do some shopping this spring. Love the lamp for the girls room! Cute! oh, i want to go back to ikea now! thanks for posting the picture of the kitchen-i need a table that seats more than 6-going to check that one out! Lovely! I have an IKEA about 20 minutes down the road but haven't been in a few months. Mainly because it's a days trip once I'm there.... :) You've inspired me to go and takea look and see if I'm "missing out" on anything! Love the new table! LOL at I sometimes wonder if T would let me have more shoes if I threw fits like that! Stop reminding me how much I wish I had an IKEA closer!! They brought out the new stuff 3 days after my last pilgrimage. I know, 3 days! That shoe cabinet? It haunts my dreams - I just need to figure out a good place for it to live. Just subscribed via my reader. 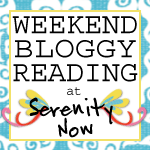 Love your blog and looking forward to reading along. Wow. So many great pics, I don't know which to comment on! I'm with you though...LOVING the craft studio! That would be a dream come true!! Thanks for sharing. Yours is one of my favorite blogs. I love to go to IKEA but I try not to because I buy way too much! I love Ikea and this post makes me really, really want to go! I am just dying to go to IKEA! I'm planning on going in February or March. Love that kitchen! Such great pics. Love it all! I sure am glad mine aren't the only one who throw fits in the middle of the store. Cracks me up you thought to take a picture of it! HA! What?! You didn't eat at IKEA? Craig and oldest child always have to get some Swedish meatballs. The other two love the kids' meals, and they're super cheap! Looks like you made the most of your IKEA trip! I wonder if I can convince Craig that we need to drive 6 hrs to Chicago just so I can get my fix. I was at Ikea yesterday and also posted a pic of that craft room! The new year must be giving everyone the organization/decorating bug. Great pics! What would we do without IKEA? I love IKEA. Wish there was one closer. And, I wish I had that white kitchen. Just cozy. So glad you had such a great day!!! Oh, boy! I haven't been to IKEA in. . . let me see, now. . . I think it's been 23 years. Yes, that's right: the last time I visited an IKEA was a trip to the Woodbridge, VA store in 1987. I have never, ever been to an Ikea. Isn't that sad???? :( Someday I would love to go. You saw so many wonderful things. Very inspirational. I like to gather inspiration at Target, World Market and Marshalls to name a few. I'm glad you posted pictures of the inside of an IKEA, because I've never been to one! I would have too much fun ogling all those showrooms. I'm glad that you had such a great IKEA trip. I poured over your pictures since I've never been there. You NEED that crafting studio. Gosh, I just love that. Keep on looking for a coffee table. I'll bet another one will pop up soon. Wow that is such a beautiful print! Hi Amanda! I'm a new blogger and have enjoyed reading this post so much! It made me laugh out loud, because I had such a similar experience with my children as well! Thanks for sharing! How did I miss this post? You KNOW I'm an IKEA junkie. I live within 20 minutes of 2 IKEA stores. Swoon! We have actually bought a bed from IKEA and love it. In fact our bed, Indy's bed and the bed in the school/guest room are all from IKEA. The one in the school/guest room you have pictured! It's the white daybed with drawers at the bottom and pulls out to make a king bed. LOVE IT! It's great for sleepovers and out of town visitors. I haven't been to IKEA in about a month (WHAT???) and am seriously jonesing for a fix. Maybe I should go on Monday. Hmmm...sounds like a plan. Thanks for sharing your trip with us! 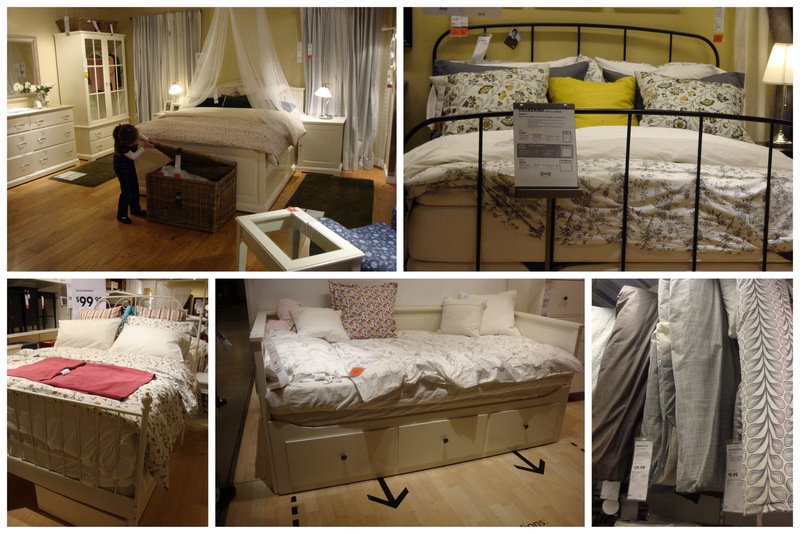 Ikea is awesome but its good to know what you are getting into if you have never been before! I've been to IKEA and yes you are right make a list because I don't ever know where to start with that place. So much eye candy like you said...but you want to do the whole room when you see it because one piece just doesn't cut it. LOL! Cute pics.